During a Radio NZ panel I once heard ex ACT MP Stephen Franks sing the praises of the self-regulating nature of the businesses Trademe, Uber and AirBnB. He said that since traders were required to post a comment about the person they traded with on trademe, uber or airbnb, the system ran itself. People on trademe are so keen to keep their reputation, that they are pulled into line to pay promptly. If they are seller they send the item promptly. The system regulates itself. It's the same with airb2b and Uber. Nobody wants to lose their reputation. So here we have three businesses that run without the interference of a Securities Commission, local or national government regulators. There are no sanctions or fines, just a loss of reputation therefore of trade. Reputation is so precious to us that we don't want to sacrifice it. Rate your driver, provide feedback. Rate your trading partner, rate your host, rate your guest: it is an important element of the system design. You will be able to quote more examples I know. Just as an organism runs itself without a central conductor, so a properly designed natural economic system requires no regulation as it has an inbuilt monitoring system to keep up quality. Giovanna Di Marzo Serugendo, Marie-Pierre Gleizes, and Anthony Karageorgos say, "Intuitively, self-organisation refers to the fact that a system’s structure or organisation appears without any explicit control or constraints imposed from outside the system. In other words, the organisation is intrinsic to the self-organising system, and it results from internal constraints and mechanisms, which are based on local interactions between its components." They say "Self-organising and emergent phenomena can be observed in many natural systems. For example, insects that live in colonies, such as ants, bees, wasps and termites, have been shown to seamlessly integrate their individual activities, while every single insect seems to operate individually and without any central supervision." 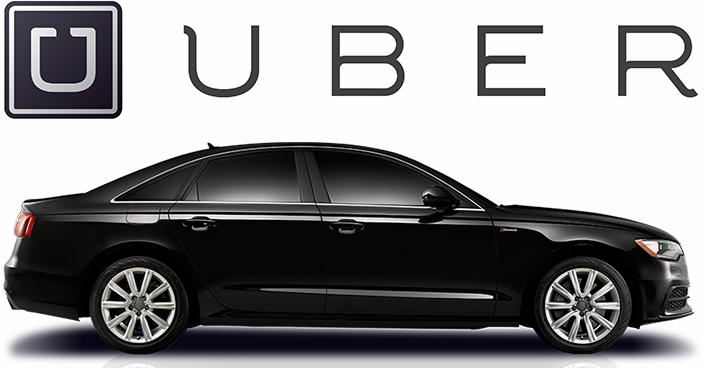 With Uber you can rate your driver publicly and the driver can rate you. That's a constraint on bad behaviour if ever there was one. Whether your are driver or customer you build up your reputation ride by ride. Just as taxi-drivers complain about Uber, the hotel industry complains about Airbnb. Spokespeople usually say that's because people listing on Airbnb usually don't have to comply with the same regulations that apply to the hospitality industry. And Air BnB blindsided the hotel industry. Forbes Magazine says, "it is an example of how today’s networked platforms compete with traditional industry behemoths without appearing to do so, at all. Platforms connect producers and consumers – hosts and travellers in the case of Airbnb – and facilitate their interactions and exchange." This will surely be a great business model for the future.